1.1 How can I be eligible for Refund, Return, Warranty or Consumer Guarantee Claim? PLEASE NOTE: If the product is deemed NO FAULT FOUND for any warranty claim or consumer guarantee claim, a service fee up to $50 with any additional shipping charges will be applied. If a product is found to have been supplied to you in full accordance with the Consumer Guarantee Law, Powerbox Pacific Ltd may require the payment of all costs associated with returning the product to you. Unless otherwise stated in writing, Powerbox Pacific Ltd shall only be liable in respect of defects in the goods as a result of unsound materials, or Workmanship, occurring within a twelve (12) month period of the date of delivery. Goods are operated under conditions not reasonably suitable to the proper operation thereof. Claims in respect of faulty or defective design of any goods supplied by Powerbox Pacific Ltd, unless such designs have been wholly prepared by Powerbox Pacific Ltd. Physical or financial injury, loss or damage or for consequential loss or damage of any kind arising out of the supply, assembly, instillation or operation of the goods or arising out of Powerbox Pacific Ltd’s negligence or in any way whatsoever. This warranty is hereby expressed in lieu of all other warranties expressed or implied and, to the fullest extent permitted by law. All other warranties statutory or otherwise are hereby excluded. Not affected by being used incorrectly or in an abnormal way, such as goods operated under conditions not reasonably suitable to the proper operation thereof. Such uses may be render the manufacturer’s warranty void. Not disposed of, lost or destroyed - Physical evidence must be shown that the product has failed. Not reduced in value by delay on the customer’s part. Any faults should be brought to the attention of Powerbox Pacific Ltd as soon as possible after they occur. Powerbox Pacific Ltd reserves the right to apply any service fees for any warranty claims to cover all costs incurred including inbound and return freight, supplier/manufacturer service fees, etc; if the returned product is found to be not covered by warranty, no fault found or physical damage to item. PLEASE NOTE: The actual manufacturer’s warranty may vary for different manufacturers and/or suppliers, so we cannot immediately provide an accurate timeframe how long the process will take for a particular property. Status updates are provided once further information is received from the manufacturers, their service centre or agents. Customer accepts a minimum restocking fee of 20% of the purchase price. Acceptances of such returns are entirely at the discretion of Powerbox Pacific Ltd and are subjecy to a thorough inspection of the goods. Goods that are rejected by Powerbox Pacific Ltd, will be returned to the customer at the customer’s expense. Any items refunded by Powerbox Pacific Ltd will be given to the customer in the same payment method that the customer used to purchase the item. Please note refunds can take up to 3 business days to process. THE MANUFACTURER’S WARRANTY OF GOODS MAY BE VOID IF THE PRODUCT IS DAMAGED IN TRANSIT. which are returned by customers for the purpose of warranty claims or returns. In order to avoid a manufacturer’s warranty being VOID, please ensure that the product is packed appropriately for shipping before returning the items to Powerbox Pacific Ltd.
- Please Contact Us if you are unsure on how to pack a product appropriately prior to shipping. The return of goods when cost of transportation is significant due to the size, height or type of problem with the goods. Powerbox Pacific Ltd will reimburse charges where the consumer is entitled to be reimbursed to them at law. Consumers may personally return goods to Powerbox Pacific Ltd between 9:00 am and 5:00 pm Monday – Friday. These returns will not be processed immediately due to jobs already in the queue. PLEASE NOTE: customers must obtain a Return Material Authorisation (RMA) number prior to sending or personally returning units to Powerbox Pacific Ltd. Knew of a particular fault in a product, or was advised of a particular fault in a product prior to purchase. A limited warranty may also apply for clearance or discontinued product. Please read the product description or Contact Us for more details if you are unsure whether a product within the category above has a limited warranty period or not. A backorder occurs when Powerbox Pacific Ltd does not have the product in stock, and will need to order the goods from our suppliers. This procedure generally takes between 1 – 14 days for the stock to arrive in our warehouse. Contact you by e-mail or phone by the following business day, notifying you the estimated time ofarrival of the goods. The Customer may choose to wait for the arrival of the goods or a full refund will be offered. As orders are dispatched the next business day, no modification of orders can occur after items have been dispatched, unless the item is on a lengthy backorder. Dispatch will occur the following Business Day from the order being placed, subject to stock availability. The total purchase price of any product is inclusive of shipping and handling charges – indicated on the Powerbox Pacific Ltd invoice and prior to placing your order online. PLEASE NOTE: Customer(s) are responsible for all freight charges for re-deliveries or incorrect delivery details. Any additional freight charges will be added to the invoice total. Powerbox Pacific Ltd will arrange shipment of ordered product(s) to the Customer on a Free On Board (F.O.B) basis. As such, title to the product(s) and all risk of loss passes to the Customer upon delivery to the carrier. Powerbox Pacific Ltd will advise the Customer of estimated shipping dates, but Powerbox Pacific Ltd will, under no circumstances, be responsible for delays in delivery or associated damages due to events beyond our reasonable control, including without limitation – acts of God or public enemy, acts of federal, state or local government, fire, floods, civil disobedience, strikes, lockouts, and freight embargoes. An order is not binding upon Powerbox Pacific Ltd until it is accepted & approved by Powerbox Pacific Ltd.
Powerbox Pacific Ltd must receive full payment before it will accept, approve &amp process an order. Payment for product(s) ordered is due prior to shipment & back order (pre-order). DISCLAIMER: Powerbox Pacific Ltd reports all attempted credit card fraud immediately to the New Zealand Police. Our website is updated frequently to ensure that our customers’ view the latest products and correct pricing available, guaranteeing the latest savings. Powerbox Pacific Ltd reserves the right to make changes and corrections to prices, products and specifications without notice due to errors arising from misprints, technical and human errors. 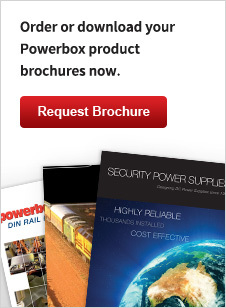 All product images on Powerbox Pacific Ltd’s website may vary from the actual product. All typographical errors are subject to correction. Please be aware that images are only to be used as a point of reference and are not indicative, in any way, of the actual product. Please be assured that Powerbox Pacific Ltd makes every effort to ensure the accuracy of product description; however specifications, features, documents and graphics published may contain technical inaccuracies or typographical errors. Should you receive an order that does not match the online product description please Contact Us immediately. Please note that product availability is subject to change at any time. Stock showing as available at the time of ordering may sell out and therefore be placed on backorder (link to backorder above). Powerbox Pacific Ltd does not accept any responsibility for errors made by companies such as MyShopping.com and Static Ice.com, etc who retrieve data from our website and list it on their own. In these circumstances it is the end users responsibility to ensure that what they are ordering is correct. If you have any questions concerning a product please do not hesitate to Contact Us. Please keep in mind that we so not refund or exchange for incorrect purchases. The trading name that will appear on all credit card purchases made online is ‘Powerbox Pacific Ltd’. Powerbox Pacific Ltd is a New Zealand owned company for all trading and registration purposes. All accounts will be charged in NZD. Any dispute arising out of or related to these Terms and Conditions, or sales transactions between Powerbox Pacific Ltd and Customers shall be governed by the laws of the state of New South Wales or as defined under Australian Consumer Law. If any provision contained in this agreement is or becomes invalid, illegal or unenforceable in whole or in part, such invalidity, illegality, or unenforceability shall not affect the remaining provisions and portions of this agreement. The invalid, illegal or unenforceable provisions shall be deemed modified so as to have the most similar result that is valid and enforceable under applicable law. The failure of either party to require performance by the other party of any provision of this agreement shall not affect in any way the first party’s right to require such performance at the time thereafter. Any waiver by either party of a breach of any provision in this agreement shall not be taken or held by the other party to be a continuing waiver of that provision unless such waiver is made in writing. These terms and conditions, together with the Powerbox Pacific Ltd’s invoice respecting the products ordered by the Customer, are the complete and exclusive agreement between Powerbox Pacific Ltd and the Customer. Any prior or contemporaneous proposals, oral or written, understandings, representations, conditions, warranties, and all other communication between Powerbox Pacific Ltd and the Customer relating to the subject product(s) are superseded. As such, this agreement may not be explained or supplemented by any prior course of dealings or trade by custom or usage. Nothing in this document excludes, restricts or modifies any condition, warranty, statutory guarantee, right or remedy, implied or imposed by common law, statute or regulation which cannot be lawfully excluded, restricted or modified, which may include the Consumer Guarantee Act and corresponding provisions and relevant laws containing implied terms and/or statutory guarantees which operate to protect the purchasers of goods and services in various circumstances.